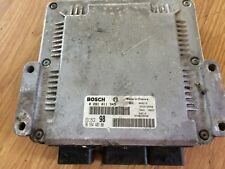 (CITROEN C2 2006 1.6 PETROL ENGINE ECU. 3) As a result of fire or theft. The Warranty is void if any part supplied has been tampered with any way. Head gasket & seals are not covered under the warranty.